Ice Cream Thank you card - "You're so sweet!" The outside is black card stock with scallopped corner. The inside is white card stock with scallopped corner. 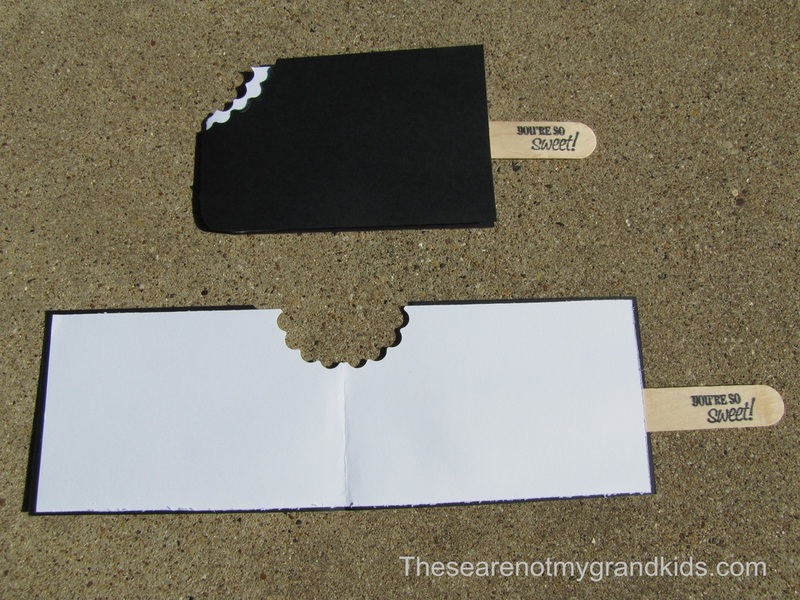 The popsicle stick is stamped with You're so sweet! It is attached behind the white card stock. Inside is blank. The card is 3 1/2 by 7.